MANILA - Experiencing its highest number of deaths related to terrorist incidents in more than a decade, the Philippines entered the top 10 list of countries "most impacted" by terrorism, according to an international peace and conflict think tank. The Philippines ranked 10th in the 2018 Global Terrorism Index (GTI), released by the Institute for Economics and Peace, higher by two places. The index takes into account the number of terrorist incidents in the country, the number of deaths from these incidents, and the scale of their physical and psychological effects. 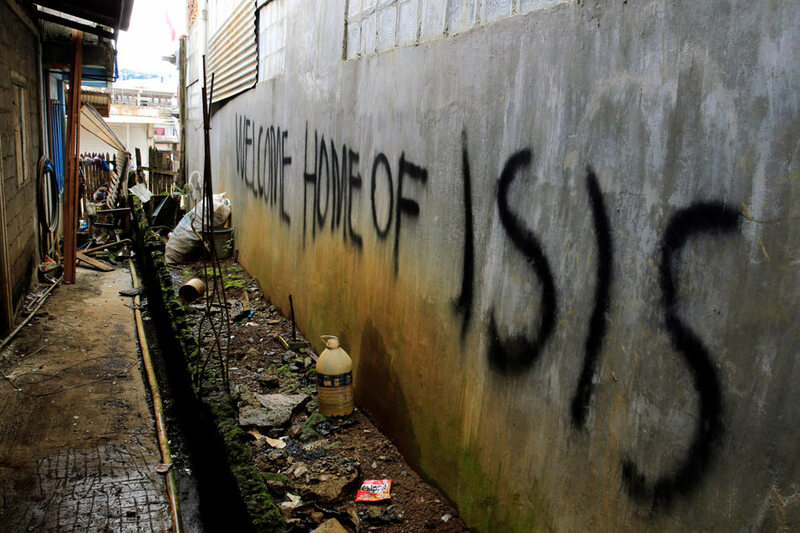 Dubbed among the list's "emerging hotspots of terrorism," the Philippines is the only country in Southeast Asia in the top 10, which was topped by Iraq. Other countries in the top 10 are Afghanistan, Nigeria, Syria, Pakistan, Somalia, India, Yemen, and Egypt. The GTI report listed 326 people killed in the Philippines due to terrorist incidents last year, the highest number of deaths in the country since 2002. It was also rated 8th among countries with the highest increases in terrorism deaths worldwide. The report said the main driver of terrorist activity in countries like the Philippines was "exacerbated tensions between splinter terror groups and national governments." Among the worst attacks listed by the index was the siege of Marawi City by the ISIS-Maute Group in 2017, which led to a 5-month ground war with government forces. With 27 killed in the city, Marawi had the most terrorism deaths in the country in 2017. But the GTI listed the communist New People's Army as the main group behind 113 or 35 percent of those killed in terrorist incidents, followed by deaths from uncredited attacks and deaths claimed by the Abu Sayyaf Group. The report added that while no single terrorist incident in the country in 2017 killed more than 10 people, over 170 areas in the Philippines experienced at least one terror-related death. For security analyst Rommel Banlaoi, the spate of terrorist incidents could be traced to the country still facing twin long-running insurgencies. "Unless we settle the problem of communist insurgency and Moro insurgency, always expect that we will rank within the top 10," he said. Banlaoi said the Philippine government needs to step up its preventive measures against terrorism. "They are doing it, but terrorist groups are resilient, terrorist groups are innovative, and the government should be as resilient and more innovative than these terrorist groups. Otherwise, preventing them to carry out their terrorist attacks will be difficult for the Philippine government. He added though that military response is only part of the solution, which should still include responding to economic, political, ideological, and identity concerns. Aside from internal issues, government should also look at the entry of foreign fighters into the country as a contributor to local terrorism. He said the aftermath of the Marawi siege has created an opportunity for terrorist groups, which was why government needs to act faster in rehabilitating the city. Mindanao remains under martial law, which Duterte declared when the Marawi conflict erupted in May 2017. Congress recently approved his request to extend military rule in the region until the end of 2019. "The more you delay the rehabilitation of Marawi, the more you provide time for these groups to recruit members, replenish their membership, train future fighters and mount terrorist acts," he said. For Banlaoi, extending martial law declared in Mindanao was" not a good habit." "It means that there is a failure on the part of our government to really accomplish the task of martial law, because you keep extending. So they need to really move twice as fast, otherwise martial law can be a double-edged sword. It can help prevent terrorism, but at the same time, it can also encourage acts of terrorism," he said. In a statement, presidential spokesperson Salvador Panelo said reports like the GTI are among reasons why peace and order remain a "primordial concern" of President Rodrigo Duterte. "Terrorism knows no time, geography or circumstances. No matter how prepared a country or its government is, damage will inevitably be incurred if terrorism befalls a locality within its jurisdiction," Panelo said. This, Panelo said, was why Duterte declared martial law in Mindanao and pushed for its extension this year. He said the president also put out Memorandum Order No. 32 reinforcing military and police guidelines in suppressing and preventing lawless violence and issued Executive Order No. 70 directing the creation of a national task force to end all local communist armed conflict. This is part of the administration's "comprehensive approach" in achieving peace in the country, Panelo said. "We are not taking terrorism lightly. Our goal is to totally eradicate rebellion by crushing it as well as by providing better services and opportunities for all to achieve a state where there would no longer be a need for any uprising or armed struggle. "Amid baseless denunciations by critics, we can assure our people that the President remains focused and steadfast in fulfilling his constitutional mandate to serve and protect the Filipino people."